Patrice Mondon, Violin - Carole Fredericks, Jean-Jacques Goldman, Michael Jones, Performer - Joëlle Bauer, 2nd Engineer - Michael Jones, Guitar - Michael Jones, Composer - Michael Jones, Lyricist - Michael Jones, Background Vocal - Jean-François Gauthier, Drums - Jean-François Gauthier, Background Vocal - Steve Parker, Producer - Carole Fredericks, Vocal - Philippe de Lacroix-Herpin, Saxophone - Philippe de Lacroix-Herpin, Percussion - Philippe de Lacroix-Herpin, Background Vocal - Claude Le Peron, Background Vocal - Andy Scott, Mixing Engineer - Philippe Grandvoinet, Synthesizer - Philippe Grandvoinet, Background Vocal - Lance Dixon, Synthesizer - Lance Dixon, Background Vocal - Jean-Jacques Goldman, Composer - Jean-Jacques Goldman, Lyricist - Jean-Jacques Goldman, Art Director - Pascale Potrel, 2nd Engineer - Marc Lumbroso, Art Director Copyright : (P) 1981 Sony Music Entertainment (France) S.A.
Yves Jaget, Recording Engineer - Patrice Mondon, Violin - Joëlle Bauer, 2nd Engineer - Michael Jones, Guitar - Michael Jones, Vocal - Jean-François Gauthier, Drums - Jean-François Gauthier, Vocal - Carole Fredericks, Vocal - Philippe de Lacroix-Herpin, Percussion - Philippe de Lacroix-Herpin, Saxophone - Philippe de Lacroix-Herpin, Vocal - Claude Le Peron, Vocal - Andy Scott, Mixing Engineer - Philippe Grandvoinet, Synthesizer - Philippe Grandvoinet, Vocal - Lance Dixon, Synthesizer - Lance Dixon, Vocal - Jean-Jacques Goldman, Producer - Jean-Jacques Goldman, Composer - Jean-Jacques Goldman, Lyricist - Jean-Jacques Goldman, Performer - Pascale Potrel, 2nd Engineer - Marc Lumbroso, Producer Copyright : (P) 1986 Sony Music Entertainment (France) S.A.
Albane Alcalay, Background Vocal - Marc Chantereau, Percussion - Guy Delacroix, Bass - Guy Alcalay, Background Vocal - Christophe Deschamps, Drums - Patrick Bourgoin, Saxophone - Jean-Pierre Janiaud, Recording Engineer - Jean-Pierre Janiaud, Background Vocal - Olivier Do Espirito Santo, Recording Engineer - Philippe de Lacroix-Herpin, Saxophone - Georges Rodi, Synthesizer - Jean-Jacques Goldman, Producer - Jean-Jacques Goldman, Acoustic Baritone Guitar - Jean-Jacques Goldman, Composer - Jean-Jacques Goldman, Lyricist - Jean-Jacques Goldman, Electric Guitar - Jean-Jacques Goldman, Keyboards - Jean-Jacques Goldman, Performer - Jean-Jacques Goldman, Background Vocal - Jean-Yves d'Angelo, Keyboards - Patrice Tison, Electric Guitar - Claude Engel, Acoustic Baritone Guitar - Claude Engel, Electric Guitar - Marc Lumbroso, Producer Copyright : (P) 1982 Sony Music Entertainment (France) S.A.
Jean-Jacques Goldman, Performer - Jean-Jacques Goldman, Composer - Jean-Jacques Goldman, Lyricist - Jean-Jacques Goldman, Art Director - Marc Lumbroso, Art Director Copyright : (P) 1982 Sony Music Entertainment (France) S.A.
Albane Alcalay, Background Vocal - Marc Chantereau, Percussion - Guy Delacroix, Bass - Guy Alcalay, Background Vocal - Christophe Deschamps, Drums - Patrick Bourgoin, Saxophone - Jean-Pierre Janiaud, Recording Engineer - Jean-Pierre Janiaud, Background Vocal - Olivier Do Espirito Santo, Recording Engineer - Philippe de Lacroix-Herpin, Saxophone - Georges Rodi, Synthesizer - Jean-Jacques Goldman, Producer - Jean-Jacques Goldman, Acoustic Baritone Guitar - Jean-Jacques Goldman, Composer - Jean-Jacques Goldman, Lyricist - Jean-Jacques Goldman, Electric Guitar - Jean-Jacques Goldman, Arranger - Jean-Jacques Goldman, Keyboards - Jean-Jacques Goldman, Performer - Jean-Jacques Goldman, Background Vocal - Jean-Yves d'Angelo, Keyboards - Patrice Tison, Electric Guitar - Claude Engel, Acoustic Baritone Guitar - Claude Engel, Electric Guitar - Marc Lumbroso, Producer Copyright : (P) 1982 Sony Music Entertainment (France) S.A.
Yves Jaget, Recording Engineer - Patrice Mondon, Violin - Joëlle Bauer, 2nd Engineer - Michael Jones, Guitar - Michael Jones, Vocal - Jean-François Gauthier, Drums - Jean-François Gauthier, Vocal - Carole Fredericks, Vocal - Philippe de Lacroix-Herpin, Percussion - Philippe de Lacroix-Herpin, Saxophone - Philippe de Lacroix-Herpin, Vocal - Claude Le Peron, Vocal - Andy Scott, Mixing Engineer - Philippe Grandvoinet, Synthesizer - Philippe Grandvoinet, Vocal - Lance Dixon, Synthesizer - Lance Dixon, Vocal - Jean-Jacques Goldman, Composer - Jean-Jacques Goldman, Lyricist - Jean-Jacques Goldman, Performer - Jean-Jacques Goldman, Art Director - Jean-Jacques Goldman, Producer - Pascale Potrel, 2nd Engineer - Marc Lumbroso, Art Director - Marc Lumbroso, Producer Copyright : (P) 1986 Sony Music Entertainment (France) S.A.
Marc Chantereau, Percussion - Guy Delacroix, Bass - John Helliwell, Saxophone - Jean-Pierre Janiaud, Recording Engineer - Jean-Pierre Janiaud, Background Vocal - Jean-Pierre Janiaud, Mixing Engineer - Roland Romanelli, Organ - Roland Romanelli, Synthesizer - Olivier Do Espirito Santo, Recording Engineer - Olivier Do Espirito Santo, Mixing Engineer - Jean-Jacques Goldman, Performer - Jean-Jacques Goldman, Composer - Jean-Jacques Goldman, Producer - Jean-Jacques Goldman, Art Director - Jean-Jacques Goldman, Lyricist - Patrice Tison, Guitar - Claude Engel, Guitar - Marc Lumbroso, Producer - Marc Lumbroso, Art Director - Alain Pewzner, Guitar - Kamil Rustam, Guitar Copyright : (P) 1984 Sony Music Entertainment (France) S.A. Guy Delacroix, Bass - Marc Chantereau, Percussion - Patrice Mondon, Viola - John Helliwell, Saxophone - Jean-Pierre Janiaud, Recording Engineer - Jean-Pierre Janiaud, Mixing Engineer - Jean-Pierre Janiaud, Background Vocal - Roland Romanelli, Organ - Roland Romanelli, Synthesizer - Michel Bernholc, Arranger - Olivier Do Espirito Santo, Recording Engineer - Olivier Do Espirito Santo, Mixing Engineer - Jean-Jacques Goldman, Arranger - Jean-Jacques Goldman, Guitar - Jean-Jacques Goldman, Keyboards - Jean-Jacques Goldman, Performer - Jean-Jacques Goldman, Composer - Jean-Jacques Goldman, Lyricist - Jean-Jacques Goldman, Producer - Jean-Jacques Goldman, Art Director - Jean-Jacques Goldman, Background Vocal - Jean-Yves d'Angelo, Piano - Patrice Tison, Guitar - Claude Engel, Guitar - Marc Lumbroso, Producer - Marc Lumbroso, Art Director - Alain Pewzner, Guitar - Kamil Rustam, Guitar Copyright : (P) 1984 Sony Music Entertainment (France) S.A.
Marc Chantereau, Percussion - Guy Delacroix, Bass - John Helliwell, Saxophone - Jean-Pierre Janiaud, Recording Engineer - Jean-Pierre Janiaud, Mixing Engineer - Jean-Pierre Janiaud, Background Vocal - Roland Romanelli, Organ - Roland Romanelli, Synthesizer - Olivier Do Espirito Santo, Recording Engineer - Olivier Do Espirito Santo, Mixing Engineer - Jean-Jacques Goldman, Performer - Jean-Jacques Goldman, Art Director - Jean-Jacques Goldman, Composer - Jean-Jacques Goldman, Lyricist - Jean-Jacques Goldman, Producer - Patrice Tison, Guitar - Claude Engel, Guitar - Marc Lumbroso, Art Director - Marc Lumbroso, Producer - Alain Pewzner, Guitar - Kamil Rustam, Guitar Copyright : (P) 1984 Sony Music Entertainment (France) S.A. Unknown, Composer - Jean-Jacques Goldman, Performer - Jean-Jacques Goldman, Composer - Jean-Jacques Goldman, Lyricist - Jean-Jacques Goldman, Art Director - Jean-Jacques Goldman, Producer - Marc Lumbroso, Art Director - Marc Lumbroso, Producer Copyright : (P) 1984 Sony Music Entertainment (France) S.A.
Marc Chantereau, Percussion - Guy Delacroix, Bass - John Helliwell, Saxophone - Jean-Pierre Janiaud, Recording Engineer - Jean-Pierre Janiaud, Mixing Engineer - Jean-Pierre Janiaud, Background Vocal - Roland Romanelli, Organ - Roland Romanelli, Synthesizer - Olivier Do Espirito Santo, Recording Engineer - Olivier Do Espirito Santo, Mixing Engineer - Jean-Jacques Goldman, Performer - Jean-Jacques Goldman, Composer - Jean-Jacques Goldman, Lyricist - Jean-Jacques Goldman, Producer - Jean-Jacques Goldman, Art Director - Patrice Tison, Guitar - Claude Engel, Guitar - Marc Lumbroso, Producer - Marc Lumbroso, Art Director - Alain Pewzner, Guitar - Kamil Rustam, Guitar Copyright : (P) 1984 Sony Music Entertainment (France) S.A.
Jean-Jacques Goldman, Performer - Jean-Jacques Goldman, Composer - Jean-Jacques Goldman, Lyricist - Jean-Jacques Goldman, Producer - Marc Lumbroso, Producer Copyright : (P) 1986 Sony Music Entertainment (France) S.A. Guy Delacroix, Programmer - Guy Delacroix, Piano - Michael Jones, Electric Guitar - Michael Jones, Composer - Michael Jones, Lyricist - Michael Jones, Performer - Roland Romanelli, Synthesizer - Jean-François Gauthier, Drums - Jean-Pierre Janiaud, Recording Engineer - Olivier Do Espirito Santo, 2nd Engineer - Claude Le Peron, Bass - Jean-Jacques Goldman, Producer - Jean-Jacques Goldman, Acoustic Baritone Guitar - Jean-Jacques Goldman, Composer - Jean-Jacques Goldman, Electric Guitar - Jean-Jacques Goldman, Lyricist - Jean-Jacques Goldman, Performer - Marc Lumbroso, Producer Copyright : (P) 1985 Sony Music Entertainment (France) S.A.
Jean-Pierre Janiaud, Recording Engineer - Philippe de Lacroix-Herpin, Saxophone - Jean-Jacques Goldman, Synthesizer - Jean-Jacques Goldman, Performer - Jean-Jacques Goldman, Composer - Jean-Jacques Goldman, Lyricist - Jean-Jacques Goldman, Producer - Jean-Jacques Goldman, Art Director - Jean-Jacques Goldman, Background Vocal - Marc Lumbroso, Producer - Marc Lumbroso, Art Director - Olivier Do Espirito Santo, 2nd Engineer Copyright : (P) 1985 Sony Music Entertainment (France) S.A. Guy Delacroix, Bass - Chet Baker, Trumpet - Christophe Deschamps, Drums - Roland Romanelli, Acordeon - Roland Romanelli, Synthesizer - Jean-Pierre Janiaud, Recording Engineer - Olivier Do Espirito Santo, 2nd Engineer - Jean-Jacques Goldman, Arranger - Jean-Jacques Goldman, Performer - Jean-Jacques Goldman, Composer - Jean-Jacques Goldman, Lyricist - Jean-Jacques Goldman, Producer - Jean-Jacques Goldman, Art Director - Jean-Yves d'Angelo, Piano - Marc Lumbroso, Producer - Marc Lumbroso, Art Director Copyright : (P) 1985 Sony Music Entertainment (France) S.A.
P. Bourgoin, Saxophone - Jean-Pierre Janiaud, Recording Engineer - Jean-Pierre Janiaud, Engineer - Guy Delacroix, Programmer - Guy Delacroix, Bass - Jean-Jacques Goldman, Guitar - Jean-Jacques Goldman, Piano - Jean-Jacques Goldman, Performer - Jean-Jacques Goldman, Composer - Jean-Jacques Goldman, Lyricist - Jean-Jacques Goldman, Producer - Jean-Jacques Goldman, Background Vocal - Jean-Jacques Goldman, Art Director - Marc Lumbroso, Producer - Marc Lumbroso, Art Director - Olivier Do Espirito Santo, 2nd Engineer - Pierre-Alain Dahan, Drums - Roland Romanelli, Synthesizer Copyright : (P) 1985 Sony Music Entertainment (France) S.A.
Marc Chantereau, Percussion - Guy Delacroix, Bass - Guy Delacroix, Background Vocal - Christophe Deschamps, Drums - Goldman, Background Vocal - Jean-Pierre Janiaud, Recording Engineer - Jean-Pierre Janiaud, Background Vocal - Roland Romanelli, Synthesizer - Olivier Do Espirito Santo, 2nd Engineer - Jose Leon Delestal, Background Vocal - Gaillard, Background Vocal - Jean-Jacques Goldman, Guitar - Jean-Jacques Goldman, Arranger - Jean-Jacques Goldman, Performer - Jean-Jacques Goldman, Composer - Jean-Jacques Goldman, Lyricist - Jean-Jacques Goldman, Producer - Jean-Jacques Goldman, Art Director - Marc Lumbroso, Producer - Marc Lumbroso, Art Director Copyright : (P) 1985 Sony Music Entertainment (France) S.A.
Jean-Pierre Janiaud, Programmer - Jean-Pierre Janiaud, Recording Engineer - Guy Delacroix, Programmer - Guy Delacroix, Bass - Christophe Deschamps, Drums - Jean-Jacques Goldman, Guitar - Jean-Jacques Goldman, Composer - Jean-Jacques Goldman, Lyricist - Jean-Jacques Goldman, Piano - Jean-Jacques Goldman, Performer - Jean-Jacques Goldman, Producer - Jean-Jacques Goldman, Art Director - Marc Lumbroso, Producer - Marc Lumbroso, Art Director - Olivier Do Espirito Santo, 2nd Engineer - Roland Romanelli, Synthesizer Copyright : (P) 1985 Sony Music Entertainment (France) S.A.
Jean-Pierre Janiaud, Recording Engineer - Jean-Pierre Janiaud, Background Vocal - Guy Delacroix, Bass - Michael Jones, Background Vocal - Jean-Jacques Goldman, Guitar - Jean-Jacques Goldman, Synthesizer - Jean-Jacques Goldman, Performer - Jean-Jacques Goldman, Composer - Jean-Jacques Goldman, Lyricist - Jean-Jacques Goldman, Producer - Jean-Jacques Goldman, Art Director - Jean-Jacques Goldman, Background Vocal - Marc Lumbroso, Producer - Marc Lumbroso, Art Director - Olivier Do Espirito Santo, 2nd Engineer - Roland Romanelli, Synthesizer Copyright : (P) 1985 Sony Music Entertainment (France) S.A.
Jean-Jacques Goldman, Performer - Jean-Jacques Goldman, Composer - Jean-Jacques Goldman, Lyricist - Jean-Jacques Goldman, Art Director - Jean-Jacques Goldman, Producer - Marc Lumbroso, Art Director - Marc Lumbroso, Producer Copyright : (P) 1987 Sony Music Entertainment (France) S.A. 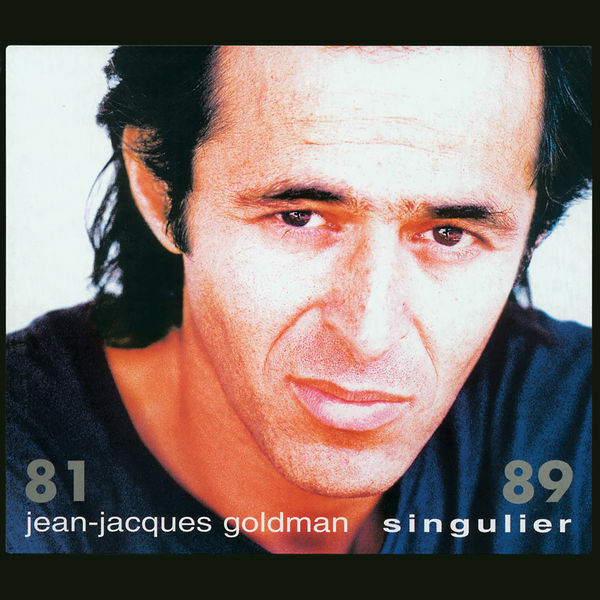 Guy Delacroix, Bass - Sirima, Performer - Jean-Jacques Goldman, Guitar - Jean-Jacques Goldman, Composer - Jean-Jacques Goldman, Lyricist - Jean-Jacques Goldman, Synthesizer - Jean-Jacques Goldman, Performer - Jean-Jacques Goldman, Producer - Marc Lumbroso, Producer - Roland Romanelli, Synthesizer Copyright : (P) 1987 Sony Music Entertainment (France) S.A. Guy Delacroix, Bass - Claude Samard, Banjo - Patrice Mondon, Violin - Jean-Pierre Janiaud, Recording Engineer - Roland Romanelli, Keyboards - Olivier Do Espirito Santo, Engineer - Jean-Jacques Goldman, Guitar - Jean-Jacques Goldman, Composer - Jean-Jacques Goldman, Lyricist - Jean-Jacques Goldman, Keyboards - Jean-Jacques Goldman, Arranger - Jean-Jacques Goldman, Performer - Jean-Jacques Goldman, Producer - Pierre Blanchard, Violin - Jean-Jacques Milteau, Harmonica - Marc Lumbroso, Producer - J. Hammer, Drums Copyright : (P) 1987 Sony Music Entertainment (France) S.A.
Christophe Deschamps, Drums - Jean Christophe Vareille, 2nd Engineer - Michael Jones, Guitar - Roland Romanelli, Synthesizer - Peter Cragie, Engineer - Alix Bailly, 2nd Engineer - Andy Scott, Recording Engineer - Andy Scott, Producer - Antoine Dequi, 2nd Engineer - Dominique Chaloube, Engineer - Philippe Cerboneschi, 2nd Engineer - Jean-Jacques Goldman, Composer - Jean-Jacques Goldman, Guitar - Jean-Jacques Goldman, Lyricist - Jean-Jacques Goldman, Arranger - Jean-Jacques Goldman, Synthesizer - Jean-Jacques Goldman, Performer - Jean-Jacques Goldman, Producer - Bernard Meynard, 2nd Engineer - Marc Lumbroso, Producer Copyright : (P) 1987 Sony Music Entertainment (France) S.A. Guy Delacroix, Bass - Jean Christophe Vareille, 2nd Engineer - Michael Jones, Guitar - Roland Romanelli, Synthesizer - Peter Cragie, Engineer - Alix Bailly, 2nd Engineer - Andy Scott, Recording Engineer - Andy Scott, Producer - Antoine Dequi, 2nd Engineer - Dominique Chaloube, Engineer - Philippe Cerboneschi, 2nd Engineer - Jean-Jacques Goldman, Composer - Jean-Jacques Goldman, Guitar - Jean-Jacques Goldman, Lyricist - Jean-Jacques Goldman, Keyboards - Jean-Jacques Goldman, Arranger - Jean-Jacques Goldman, Performer - Jean-Jacques Goldman, Producer - Jean-Jacques Goldman, Background Vocal - Bernard Meynard, 2nd Engineer - Marc Lumbroso, Producer Copyright : (P) 1987 Sony Music Entertainment (France) S.A.
Peter Cragie, Engineer - Jean Christophe Vareille, 2nd Engineer - Philippe de Lacroix-Herpin, Drums - Philippe de Lacroix-Herpin, Saxophone - Dominique Chaloube, Engineer - Jean-Jacques Goldman, Composer - Jean-Jacques Goldman, Lyricist - Jean-Jacques Goldman, Arranger - Jean-Jacques Goldman, Performer - Jean-Jacques Goldman, Producer - Jean-Jacques Goldman, Background Vocal - Janiece Janison, Background Vocal - Alix Bailly, 2nd Engineer - Andy Scott, Recording Engineer - Andy Scott, Producer - Claude Le Peron, Acoustic Bass - Jacky Mascarel, Keyboards - Carole Fredericks, Background Vocal - Philippe Cerboneschi, 2nd Engineer - Michael Jones, Guitar - Jean-Claude Givone, Percussion - Jean-Claude Givone, Drums - Philippe Grandvoinet, Keyboards - Antoine Dequi, 2nd Engineer - Bernard Meynard, 2nd Engineer - Marc Lumbroso, Producer Copyright : (P) 1987 Sony Music Entertainment (France) S.A. Guy Delacroix, Bass - Guy Delacroix, Programmer - Jean Christophe Vareille, 2nd Engineer - Peter Cragie, Engineer - Alix Bailly, 2nd Engineer - Andy Scott, Recording Engineer - Andy Scott, Producer - Antoine Dequi, 2nd Engineer - Dominique Chaloube, Engineer - Jean-Jacques Goldman, Keyboards - Jean-Jacques Goldman, Composer - Jean-Jacques Goldman, Performer - Jean-Jacques Goldman, Lyricist - Jean-Jacques Goldman, Arranger - Jean-Jacques Goldman, Producer - Philippe Cerboneschi, 2nd Engineer - Bernard Meynard, 2nd Engineer - Marc Lumbroso, Producer Copyright : (P) 1987 Sony Music Entertainment (France) S.A.
Peter Cragie, Engineer - Jean Christophe Vareille, 2nd Engineer - Philippe de Lacroix-Herpin, Saxophone - Dominique Chaloube, Engineer - Jean-Jacques Goldman, Performer - Jean-Jacques Goldman, Composer - Jean-Jacques Goldman, Lyricist - Jean-Jacques Goldman, Arranger - Jean-Jacques Goldman, Producer - Jean-Jacques Goldman, Guitar - Janiece Janison, Background Vocal - Alix Bailly, 2nd Engineer - Andy Scott, Recording Engineer - Andy Scott, Producer - Jacky Mascarel, Keyboards - Carole Fredericks, Background Vocal - Carole Fredericks, Vocal - Philippe Cerboneschi, 2nd Engineer - Renaud Létang, 2nd Engineer - Bruce Keen, 2nd Engineer - Philippe Délire, 2nd Engineer - Michael Jones, Guitar - Michael Jones, Vocal - Jean-François Gauthier, Percussion - Jean-Claude Givone, Percussion - Antoine Dequi, 2nd Engineer - Erwin Autrique, 2nd Engineer - Bernard Meynard, 2nd Engineer - John Hastry, Mixing Engineer - John Hastry, Recording Engineer - Alain Aubert, Mixing Engineer - Alain Aubert, Recording Engineer - Marc Lumbroso, Producer Copyright : (P) 1987 Sony Music Entertainment (France) S.A.
Patrice Mondon, Violin - Joëlle Bauer, 2nd Engineer - Michael Jones, Guitar - Michael Jones, Background Vocal - Jean-François Gauthier, Drums - Jean-François Gauthier, Background Vocal - Carole Fredericks, Vocal - Philippe de Lacroix-Herpin, Percussion - Philippe de Lacroix-Herpin, Saxophone - Philippe de Lacroix-Herpin, Background Vocal - Claude Le Peron, Background Vocal - Andy Scott, Mixing Engineer - Philippe Grandvoinet, Synthesizer - Philippe Grandvoinet, Background Vocal - Lance Dixon, Synthesizer - Lance Dixon, Background Vocal - Jean-Jacques Goldman, Performer - Jean-Jacques Goldman, Composer - Jean-Jacques Goldman, Lyricist - Jean-Jacques Goldman, Producer - Pascale Potrel, 2nd Engineer - Marc Lumbroso, Producer Copyright : (P) 1989 Sony Music Entertainment (France) S.A.
Compilation (P) 1996 Sony Music Entertainment (France) S.A.